Nicola is planning her return to Stoupa on Saturday and reports that she feels recuperated after her long flight back from Oz. She’s also been shopping and re-stocking – new suitcases and a hard drive and more booty besides including a Fitbit and contact lenses. Judith’s still focused on the logistics of this week’s house move, all was going swimmingly until a blown fuse took out the central heating and the shower! Nicola has been reviewing her notes from the SuperFast Business Conference and James Schramko has sent all the delegates a recap document with a photo of him and Nicola winning her prize of a website makeover on the cover. She’s starting to think about what she learned from the speakers and is contemplating running some more Be Everywhere Online challenges. Nicola recommends: a book called Content Hacking by Alexi Neocleous which was given to her at the conference, a slim volume she says. Judith has been taking a closer look at her Facebook Page stats and insights, all green arrows demonstrating results moving in an upward direction and that’s even before she’s started to focus properly on this. How many ways are there to sell besides from the stage? Webinars, sales pages, email campaigns, product launch formulae, selling by appointment face to face, selling by cold calling or cold emailing, selling via relationship-building so that eventually you get to pitch, identifying ideal clients you do want to work with and building up a prospects list. But eventually you get in front of someone and have to ask for the business. Not many people relish that bit except J&N it seems. 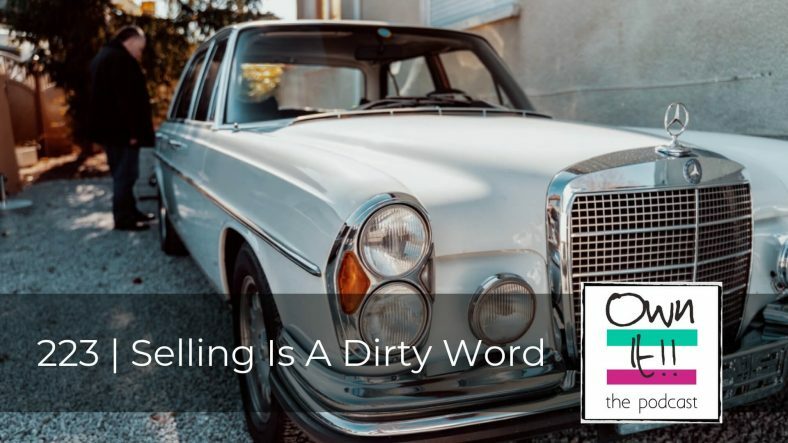 How did selling acquire a bad name? Is there any selling without marketing? Own It has discussed marketing a-plenty over the years, but what ways are there to go straight for the sale? Nicola recommends: Spin Selling by Neil Rackham and Predictable Revenue by Aaron Ross. Nicola chooses Re-Stocking and Judith picks (Inner) Knowing. 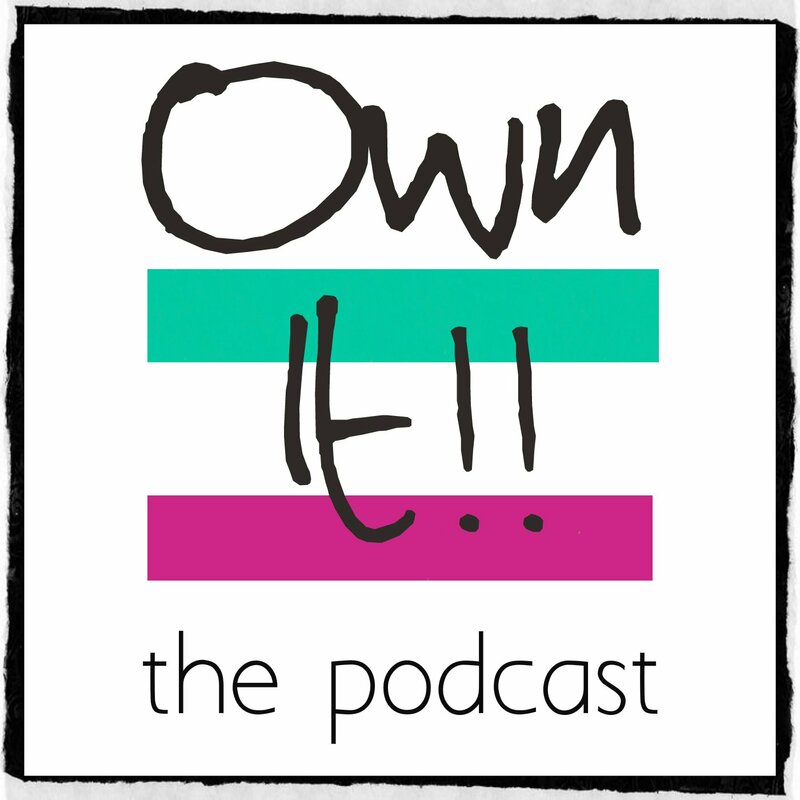 Nicola has received her paid-for screenwriting critique and is pleased with it, and Judith wants to discuss paid-for newsletters as a business model as inspired by Justin Brooke, one of the first guests on Own It! The Summit. Nicola likes Fleabag on BBC written by and starring Phoebe Waller-Bridge because it is both funny and dark. She also recommends ScreamingFrog.com which helps you to sort out meaningful page titles and meta descriptions on your website. Judith describes some more fantastic Abraham-inspired manifestations, this time from client Sherree Russell of Equestrian-Hypnosis.com who created sales within 24 hours.